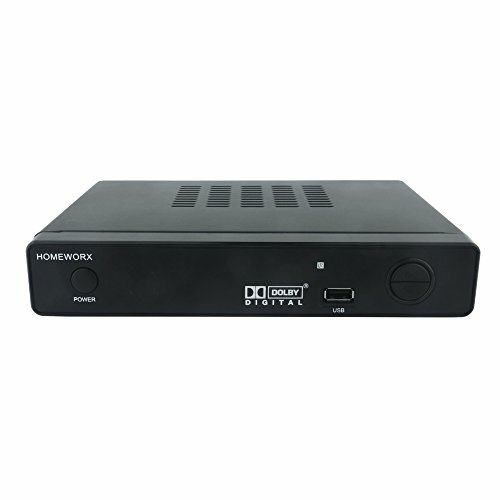 Mediasonic HomeWorx HW-150PVR is a digital converter box which converts Over-The-Air ATSC digital broadcast to your analog TV. The built-in Media Player function allows user to play back video files via USB connection. If user encounter technical difficulty, please contact support@mediasonicusa.com Please Note: This product does NOT work with Cable Provider such as Comcast, DirecTV, DISH Network, Time Warner Cable, etc. In General, all encrypted signal will not work with this unit. This product does NOT work with TIVO and cable company such as Comcast, DirecTV, DISH Network, Time Warner Cable, Shaw Cable, etc. In general, this product does NOT work with encryped cable signal. This Box is NOT a replacement of a cable company's box.